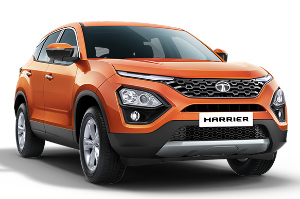 Tata Harrier (Q501). 2018 to date (prod. n/a). 5-door SUV. F/F, 1956 cm³ diesel (I4 DOHC). Tata emphasized the Land Rover architecture connection with its CUV (albeit with far less sophisticated suspension), sharing an engine with the Jeep Compass (MP) at launch but in a different state of tune, developing less power. Competitively priced, with plenty of standard equipment. Five seats only. Two digital displays: seven-inch in front of the driver; 8·8-inch infotainment unit.